Journal in Japanese Kagakusi Kenkyu was founded in 1941. 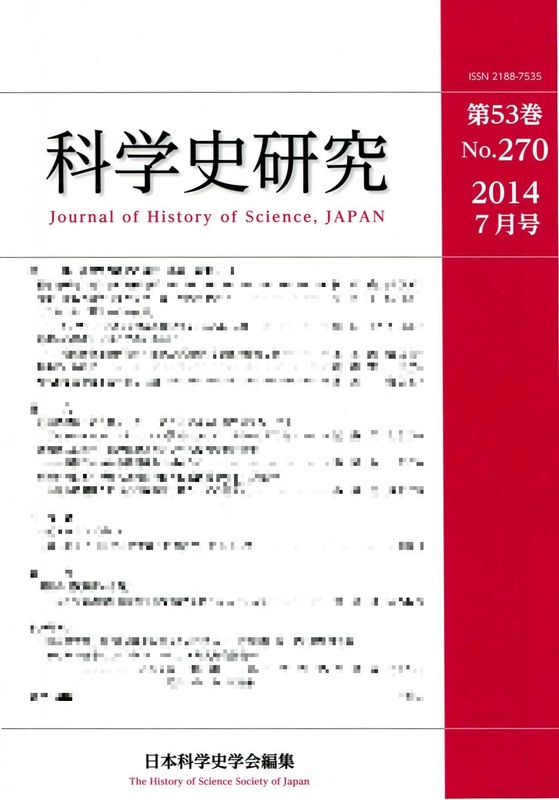 This is the most prominent and oldest journal in the field of history of science and technology in Japan. Its first issue was published in 1941. 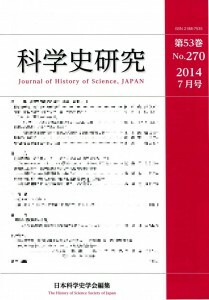 Journal of History of Science, JAPAN contains articles, notes, book reviews and other categories about history of science, technology and medicine. The journal aims to promote and popularize history of science, technology and medicine.